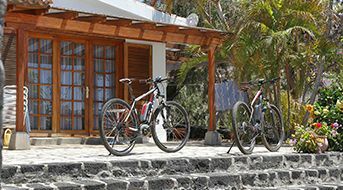 Discover La Palma with the e-bikes brands Cube and Trek! 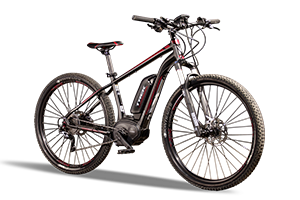 19' E-mountain bikes equipped with the Bosch engine technology have a suspension fork with Speed Lockout® as well as disc brakes in front and rear. 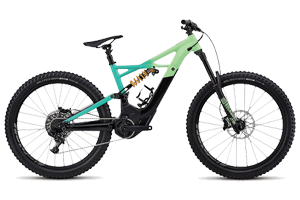 Optionally 17,5 'or 19' E-mountain bikes equipped with the Bosch engine technology have a suspension fork with Rock Shox® spring preload as well as disc brakes in front and rear. 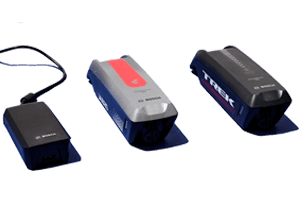 To ensure that you do not run out of power while doing a tour, we also rent replacement batteries for your e-bike with a range between 45 km and 190 km. Bicycle helmets, bicycle locks, charger and detachable bicycle lamps as well as luggage rack and air pump are provided free of charge. Where can I pick-up and return the E-Bike? The vehicle handover is exclusively at our location in Todoque. 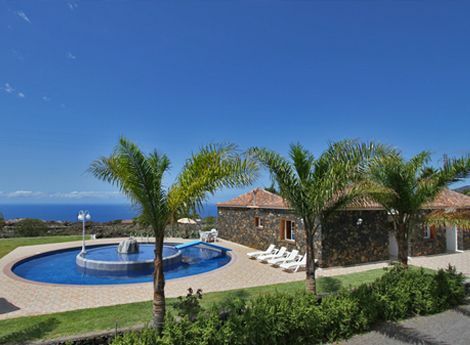 Our office is located in the center of the main touristic area on the sunny west side of La Palma in the village Todoque. We’ll bring the E-Bike free of charge to the accommodation in the Aridane Valley for rental periods of more than one week! Included in the rental price are the E-Bike and the battery. 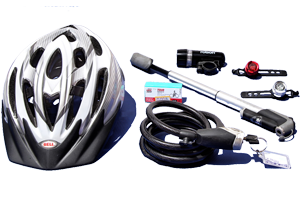 Bicycle helmets, bicycle locks, charger and detachable bicycle lamps as well as luggage rack and air pump are provided free of charge. Replacement batteries will be provided upon prior request and a fee will be charged. Does La Palma 24 offer its clients a personal on-the-road-service? Yes. La Palma 24 will never left you alone or in any of the dreaded telephone loops. In the event of a breakdown or accident, we will be there for you 24 hours a day. That is what our new name stands for. A call on our emergency call number is enough. First of all: Don't Panic! Call us immediately. We speak English and make us on the way to you as well as we inform the police if necessary. We prepare on spot together with the police in Spanish the accident report. Our emergency telephone: 0034-608 421 002. When do I have to pay the E-Bike? With our direct booking tariff you pay the rental E-Bike while booking with your credit card. If you choose the tariff 'payment upon arrival', you pay the rental E-Bike during the pick-up in cash or by credit card. Of course it is also possible to transfer the amount in advance to our Spanish business account. At what age can I rent an E-Bike and how long is one day of rental? The minimum age to book an E-Bike is 18 years. If the renter is under an age of 18 years, the legal representative and/or educate-entitled is responsible and becomes a renter. From the moment you received the E-Bike it is 24 hours.